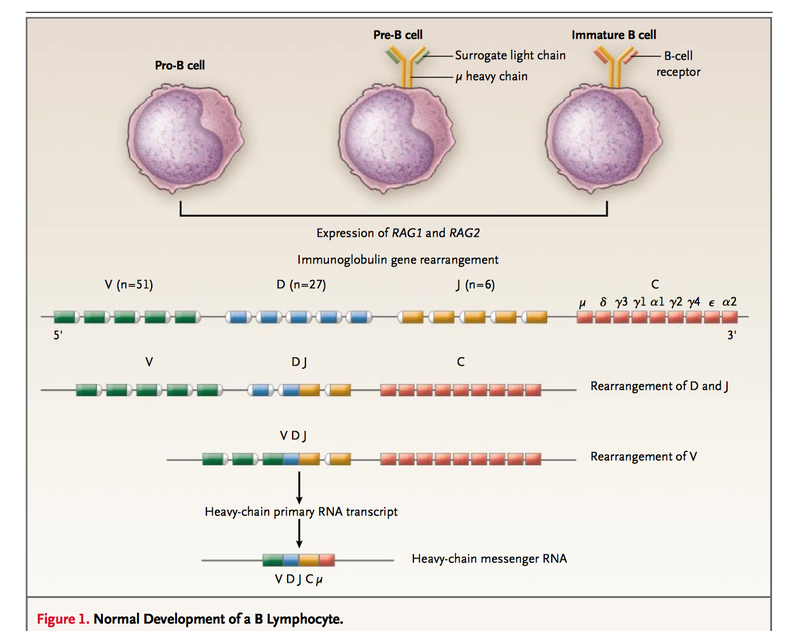 Where does CLL / SLL fall in the spectrum of lymphoid malignancies? Classification based on prognosis, where does CLL fall? 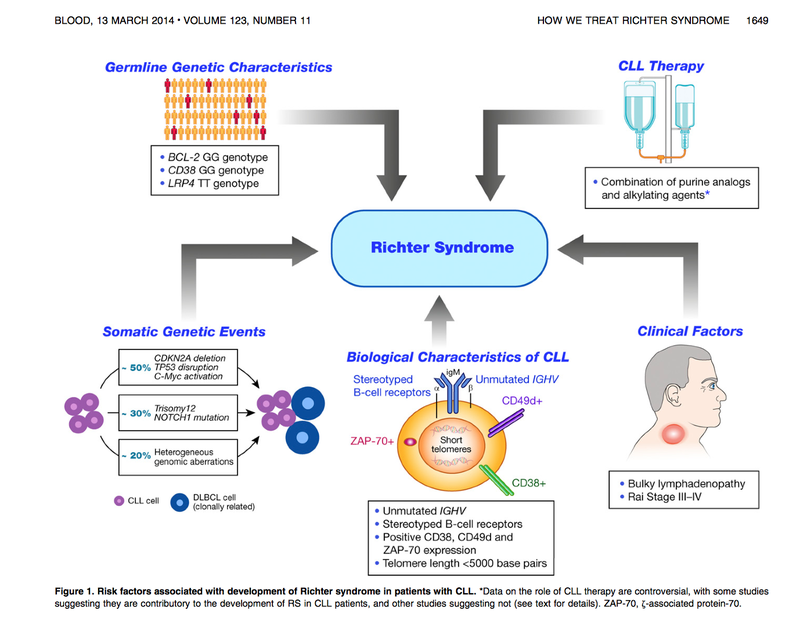 What are the risk factors for Richter transformation? 71 yo M patient has been followed for 3 yrs for Lymphocytosis. Labs today include the following. Bi and LFT are normal. 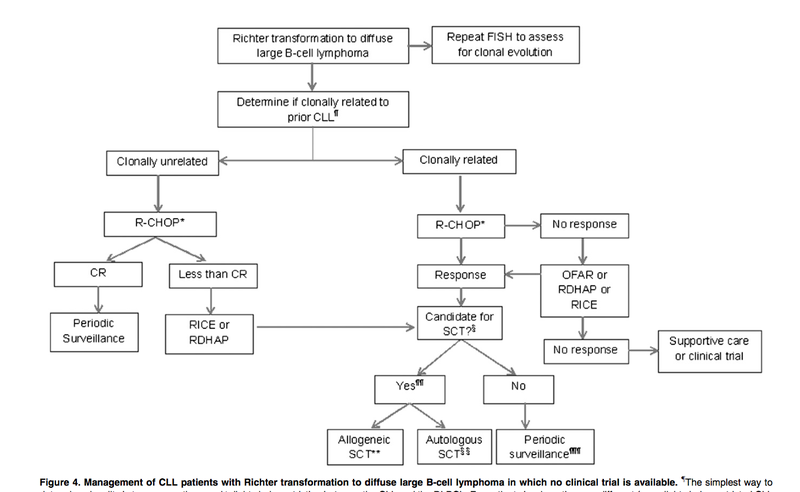 Diagnosis of CLL was made. How is the diagnosis of CLL made. What is the finding of flow cytometry? What other tests can you order? CT scan of chest is done and shows the following. What is the stage for this patient? Given advanced stage, it is poor. Is patient symptomatic. No symptoms other than Chills, Night sweats, and 40 lb weight loss in 2 yr.
What is the complication of CLL? Autoimmune Hemolytic Anemia: Patient has negative Coombs test. Bilirubin was normal as well. Until few years back: Wait and watch as he was asymptomatic. Now the treatment options have changed with newer studies published in 2015 and 2016. 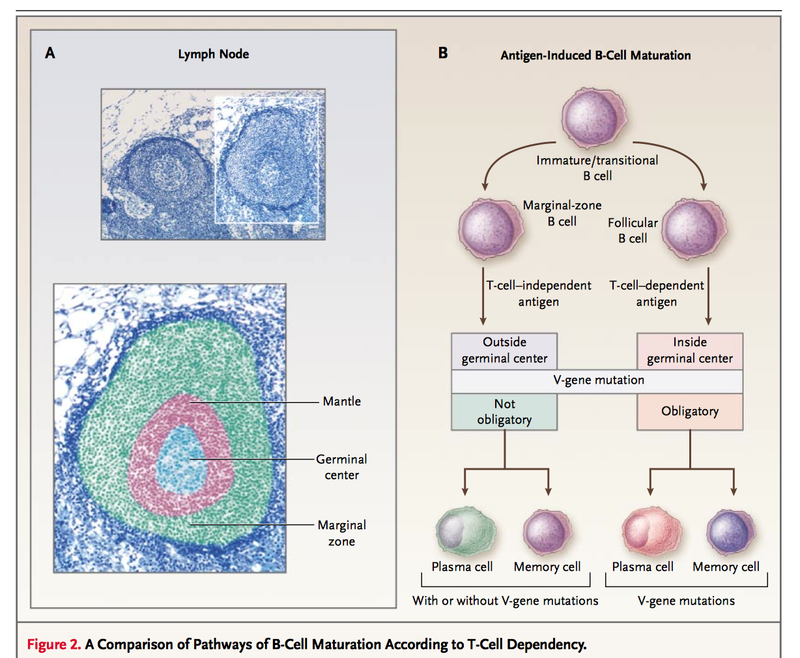 BTK is essential for signaling by means of the B-cell receptor and chemokine receptors, which CLL cells use for survival, proliferation, and tis- sue homing. Ibrutinib also irreversibly inhibits alternative kinase targets hence is not selective. More recently, newer 2nd generation BTK inhibitor has been introduced. What are the other newer treatments for CLL? 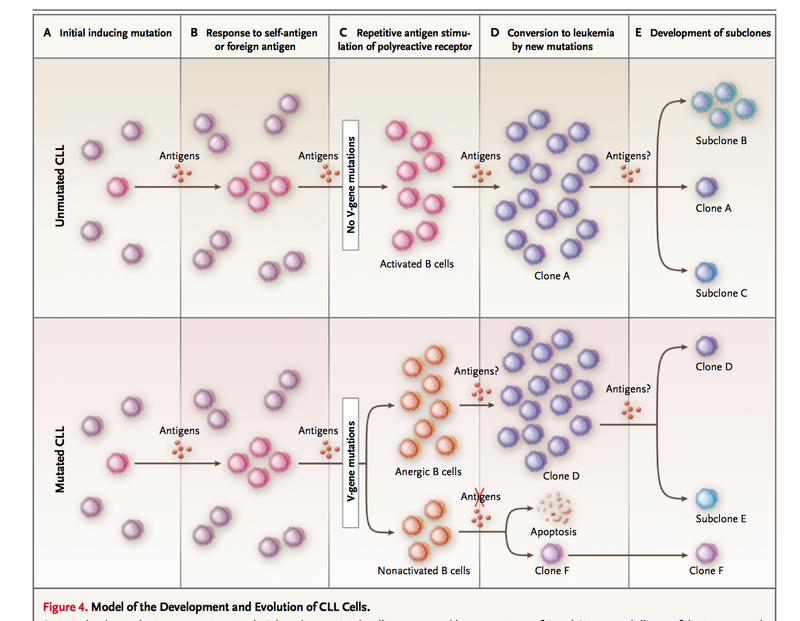 Constitutively elevated expression of the anti- apoptotic protein BCL2 renders CLL cells resis- tant to apoptosis, resulting in the accumulation of long-lived, clonal lymphocytes that characterize the disease. Venetoclax (ABT-199/GDC-0199) is a highly selective inhibitor of BCL2 that is more potent than navitoclax but is less active against BCL-xL by a factor of more than 200 has just published phase 1 report. What other test could we order? What are the types of Igb defects in CLL? 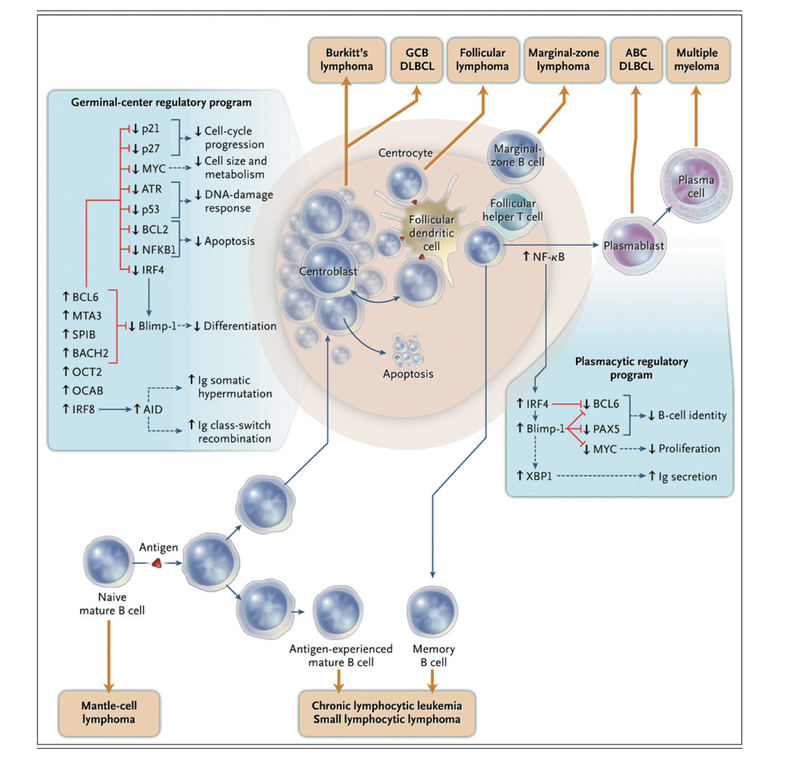 In one study, results showed that among the 83 CLL patients, the IgG, IgA and IgM levels were reduced in 12 (14.5%), 26 (31.3%) and 34 cases (41.0%) respectively.